JT: Melissa, I hugely enjoyed your poetry collection I Ate the Cosmos for Breakfast, which seemed to me original, strange and often sublime. At the same time, your neo-Romanticism is also accompanied by an eye for the beauty of the everyday – so that the sublime mixes with the mundane (“Washing clothes … is an act of prayer,” you say in one poem, and another is entitled “Starry Night, with Socks”). For me, I would say this was one of the hallmarks of your style – but do tell me if I’m wrong. How would you describe your style? MS: I love that assessment, Jonathan – especially that you called I Ate the Cosmos for Breakfast “strange.” In pointing out the commingling of the mundane and sublime, you nailed not only my style, but also how I experience the world. I grew up in a secular home. My father is agnostic, and my mother is spiritual with a deep curiosity about supernatural mysteries. We didn’t go to church, but I would sit at the top of the jungle gym in my back yard and talk to god. I believed and still believe that god is in my backyard. That’s part of it. Also, there’s something a monk said to me years ago when I was learning Buddhist meditation. He said, “When you learn to relax inside your mind, you can be on permanent vacation, 24 hours a day, 7 days a week.” You don’t need to go anywhere or seek anything. The beach, the flower, the mountain – they are all inside you. So, yes, I carry them with me when I vacuum and put on socks. Then I realize that vacuum cleaners and socks are sublime too. So, I think I would describe my style as you have, except to also possibly add that I think figuratively. I’m sure I have driven people crazy with my constant metaphors and analogies in everyday conversation, but if I want to understand or explain something, my mind almost always reaches for a comparison. JT: Clearly, there’s a lot of cosmic and creation imagery in the collection. What themes and ideas were you exploring in this respect? MS: I was exploring a feminine, cyclical conception of god, time, and the universe. Rather than fashioning my poetic god in man’s image, I fashioned her in woman’s image. It was important to me that she be god and not the diminutive or adjunct “goddess.” I wanted to convey her as the origin and the all powerful, but I also wanted her to be present in the whole of everything. So, in I Ate the Cosmos for Breakfast, most everything is pretty much a microcosm of the divine and the all. That’s why a pancake is creation flattened out. It’s all interconnected, all divine. As well, I Ate the Cosmos for Breakfast plays with ideas of reincarnation, god birthing the universe, and god attempting to parent the world. To read the rest of the interview, please visit Everybody’s Reviewing. 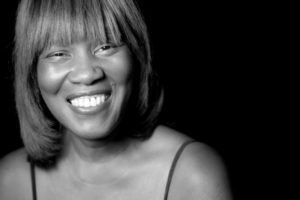 In this episode of VIDA Voices and Views, Melissa Studdard interviews poet and fiction writer, Patricia Smith, who reads from her award-winning poetry collection Shoulda Been Jimi Savannah and discusses topics ranging from the poetic inspiration of children’s books to learning how to use technique to resonate your voice in the reader’s head. A renaissance artist of unmistakable signature, Patricia Smith has been called “a testament to the power of words to change lives.” She has authored and edited six critically-acknowledged volumes of poetry, a children’s book, a crime fiction anthology, and a companion volume to the groundbreaking PBS history series, Africans in America. Her numerous accolades include the Rebekah Bobbitt Prize from the Library of Congress, the Lenore Marshall Poetry Prize from the Academy of American Poets, and the Phillis Wheatley Award in Poetry. As well, she is recognized as one of the world’s most formidable performers and is a four-time national individual champion of the Poetry Slam. She was featured in the film “Slamnation,” and appeared on the HBO series “Def Poetry Jam.” Additionally, her works have been transformed into award-winning films and plays, and her vocals have been featured on jazz CDs and radio commercials. An accomplished and sought-after instructor of poetry, performance, and creative writing, Patricia often appears at creative conferences and residencies and is a Cave Canem faculty member, a professor of English at CUNY/College of Staten Island, and a faculty member of the Sierra Nevada MFA program.